We had a spacious room - an upgrade, just because it was available. The receptionists were helpful and very kind. Clean enough, easy access to city center, breakfast more or less expected for economic price. Linen seemed clean and the en suite bathroom was clean and usable. The room was big and clean, the staff were very helpful and friendly. Location to the tube station was good and it was easy to get around town. Brit Hotels Elephant Castle This rating is a reflection of how the property compares to the industry standard when it comes to price, facilities and services available. It's based on a self-evaluation by the property. Use this rating to help choose your stay! Situated above a historic public house, Brit Hotels Elephant Castle is less than 5 minutes’ walk from Elephant & Castle Tube and train station. The Victorian building boasts many original features, such as ornate mirrors, fireplaces and wood panelling. Free Wi-Fi is available in the hotel’s public areas. Each room at Brit Hotels Elephant Castle is individually decorated and comes with an en suite bathroom, a flat-screen TV with Freeview and tea/coffee making facilities. Freshly baked croissants and pastries are served as part of a continental breakfast each morning. The hotel reception is open 24/7 and a selection of beers, wines and spirits are available. London’s West End, Piccadilly Circus and the shops of Oxford Street can be reached in just 15 minutes by Tube from Elephant & Castle station. The Imperial War Museum is only a 15-minute walk from the hotel. 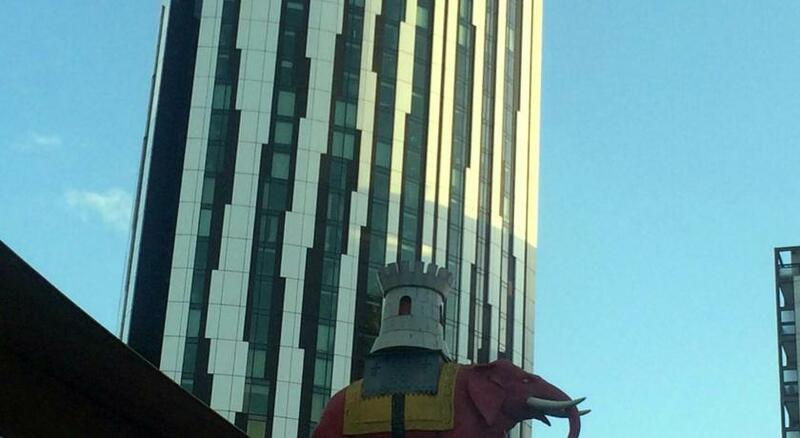 When would you like to stay at Brit Hotels Elephant Castle? House Rules Brit Hotels Elephant Castle takes special requests – add in the next step! Brit Hotels Elephant Castle accepts these cards and reserves the right to temporarily hold an amount prior to arrival. 2am the doorman was sleeping so waited half hour for an answer. Then we got kicked out early. In rough part of town with no parking. Poor staff trying to re-charge the room and change the amount it was. No control over heating, was boiling hot. Shower head didnt work and bath plugs had been removed for some odd hotel reasons. One bed in our triple room was broken in half, staff would not let us relocate to a vacant room of equal value. Friends could not visit for a drink before an event and was forced to book a room or we would all be kicked out. Building looked condemned, signs of asbestos and other health and safety hazards. Heater, shower head, window were broken. Bathtub was leaking water. Everything.... very very poor standard. The building is very run down in a quite run down area. Though I never felt threatened there. The carpets were grubby and stained. Furniture similar. The place felt unbearably hot, though the radiators were off. Some staff either could not or would not speak English. That's not to say they were rude or threatening but were of minimal help. The building needs to be completely refurbished. The staff were rude and unprofessional. There were no lift and I had to carry the baby's stroller and suitcases up 3 stairs. They had no baby bed. Not suitable for children/babies. People running around shouting and slamming doors at night. No guests allowed in your room. The staff was rude and almost ignoring you. The state of the facilities is terrible. The carpet and the walls were full of stains. The furniture was in a terrible state. Shower's hot water had no pressure. Room's walls were paper thin, you could here EVERYTHING from the next-by rooms (even the TV at low volume). The room seemed to have a weird smell think it was fan in bathroom but having stayed for 5 days didn't seem as bad and the rooms are well cleaned. Also thought pub was open below but it's closed. Very close to the tube and in a quiet area. There is a lovely cafe with craft beers and ciders under the railway round the corner. The bed was comfortable. I needed somewhere to stay close to the tube and this place although old provided me with a great clean comfortable place to put my head down at night. Thanks. Erm.... I'm struggling here. The surrounding roads were free to park on the weekend if you found a space.